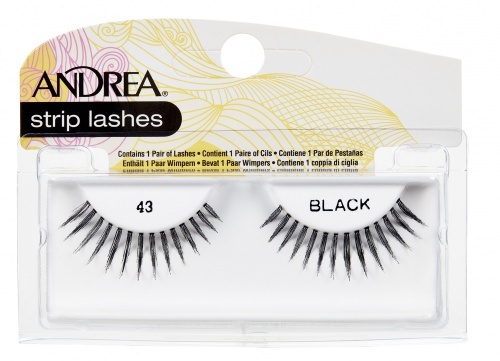 Ardell Fashion lashes #106 have long, wispy, spiky lashes to give a long, extended lash effect. This dramatic style is available in black only. Style #106 is comparable to Sherani Natural Lash and InvisiBands Demi Pixies. This lash style is now only available in BLACK. For additional product details & how to apply information, please click HERE. These are also known as Ardell Glamour #106 Lashes. 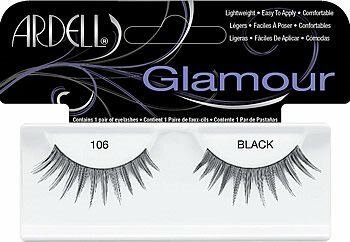 New packaging Fashion Lashes #106 may say Glamour or Natural on the cardboard insert. The different packaging contain the exact same lashes with the same manufacturer item number. They contain different cardboard insert (glamour vs natural) for marketing reasons. These lashes are so versatile and can be used or when going out for a fun night. I would highly recommend these.